Providing Exceptional Legal Services in Fishkill Since 1999 Get Started Today! Michael A. Fakhoury, ESQ., PC has been representing clients in a broad range of legal matters for nearly 20 years. As the founding attorney, I am committed to going above and beyond to ensure my clients get the personalized counsel, guidance, and insight they need every step of the way. My name is Michael Fakhoury, and I am a Fishkill lawyer practicing personal injury, bankruptcy, and criminal law. I am well-versed in various areas, giving my clients the comprehensive support they need in all seasons of life. 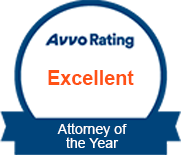 I have been selected as the Attorney of the Year by Avvo, awarded numerous Client's Choice selections (2011-2014), and handled thousands of cases over the course of my career. I know the law, and I know how to assist you through this time. When I accept personal injury cases, I plan and prepare to go to trial—I am a tough litigator who is not willing to settle for anything less than maximum compensation for my clients. As a defense lawyer, I also understand how to carefully negotiate the best possible outcome for my client when necessary, or aggressively stand up for their rights in court. I am also well-versed in the bankruptcy code, being the former President of the Hudson Valley Bankruptcy Bar Association (2014-2016). 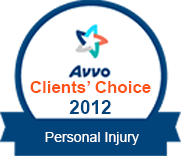 Meet your life challenges with knowledgeable legal help. Call my firm today at (845) 795-3326 to set up a consultation. Challenges Tackle tough legal obstacles head on with trusted counsel by your side. As an experienced lawyer in Fishkill, I am ready to put my knowledge to work on your behalf. Reach out today. Michael A. Fakhoury, ESQ., PC is well-versed in a wide range of legal areas. Best lawyer in Dutchess County!